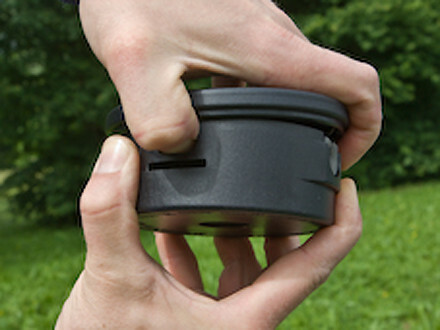 It is easy to refill or replace the trimmer line and spools? A string trimmer is an extremely important garden tool that can help you keep your grassy areas neat and clean. 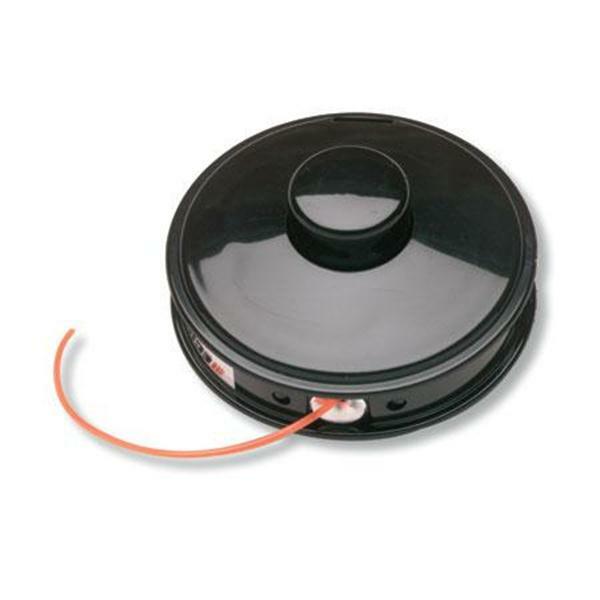 However, string trimmer line can often break and new lines may need to be inserted. It is usually wound tightly on a spool and as you use to cut the grass, it continues to wear out till it completely breaks off. 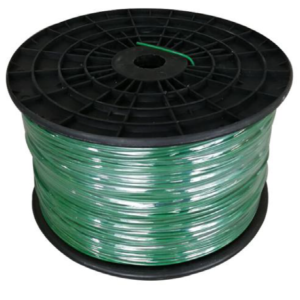 New cord is usually fed into the spool, and the spool releases the line to trim the grass. In some cases, the spool itself may need to be replaced completely. 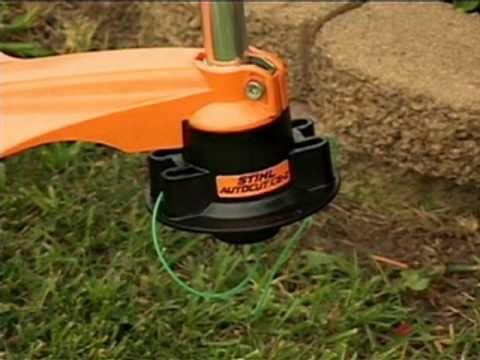 Replacing strimmer line is often the most time-consuming part of yard trimming, using the right techniques to load your trimmer cutting line can significantly save your time you. It is important to know how to reload in three different trimmer head styles: a single line trimmer head, a double-string trimmer head, and speed-feed trimmer head. Here is the helpful step-by-step instructions on how to replace trimmer line for your trimmer head. The first thing you need to do is remove the cap on the string trimmer head. Then the spool will come out. On the spool inside there is a little hole. That’s the place to start trimmer line. You also notice on the spool that there are a couple of arrows. These arrows indicate the directions of the line need to wrap. Turn off the lawn trimmer or remove the connection to make sure there is no power running through it. Locate the spool retainer right at the bottom of the cutting head. Now turn the cutting head either clockwise or counterclockwise. 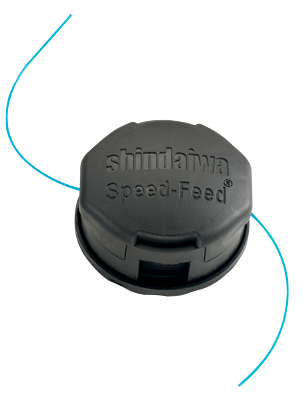 This can be done by pressing a release button that allows the clip to loosen up and release the spool. Different models have different mechanisms, and if you are unable to understand the mechanism on your trimmer, use the manual to understand how to remove the spool. In general, the direction of loosen up is counterclockwise. 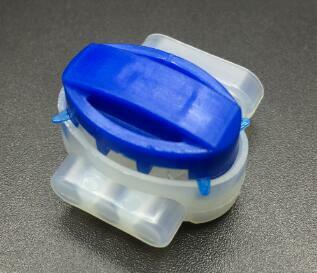 Once you are able to release the retainer, remove it by pulling the spool away from the head. There may be a spring on the spool. Sometimes, the spring may be present on the cutting head. Try to keep the spring in place. Remove the old lines from the spool as they may be damaged. If the old lines are used up, you simply have to put in a new one. Take up the trimmer line and insert it into the trimmer hole to get started. Start wrapping the line in the direction of the arrows. Try to wrap the line in rows. Straighter you wrapped the line more likely it will feed from the trimmer properly. If you don’t do it properly now then you have to do it once again while working because wrapping line carelessly can cause the problems. 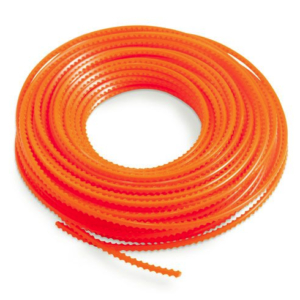 Once the spool has been emptied, cut the trimmer line to a length of 9 feet. The double-strings trimmer head require two lines. If that is the case, cut two 9-foot long lines. Let the spring face up and hold the spool. There is a small anchor hole into which you can insert the end of a line. This anchor hole is usually located in the side of the spool. For double lines, first install the line that goes into the upper area, before coming to the second line. The spool will have an arrow drawn on it that indicates the direction in which the string should be wound. Wind the entire length of the line into the spool until only about 6 inches of string is remaining. Locate the retention slots. These are usually located in the upper flange of the spool. Press the remaining line into the retention slots. If there are two lines, you can simply insert the other line into the anchor hole located in the lower area. Again, wind the second string until only 6 inches remain. Insert the second line into the other retention slot. The new line has been installed in the spool. To check the same, simply turn on the trimmer and observe whether the line is trimming in the proper manner. If there is a snag in the string, you may have to remove the spool and wind the line once again, tightly. In conclusion, it doesn’t have to be difficult to reloading the trimmer line. 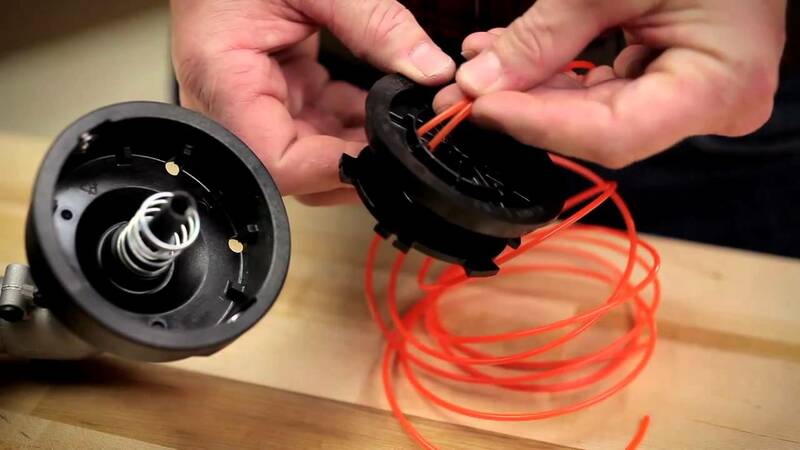 Use this quick tutorial to replace the line on your string trimmer. Once you’re up to speed, replacing trimmer line this way can be very fast.